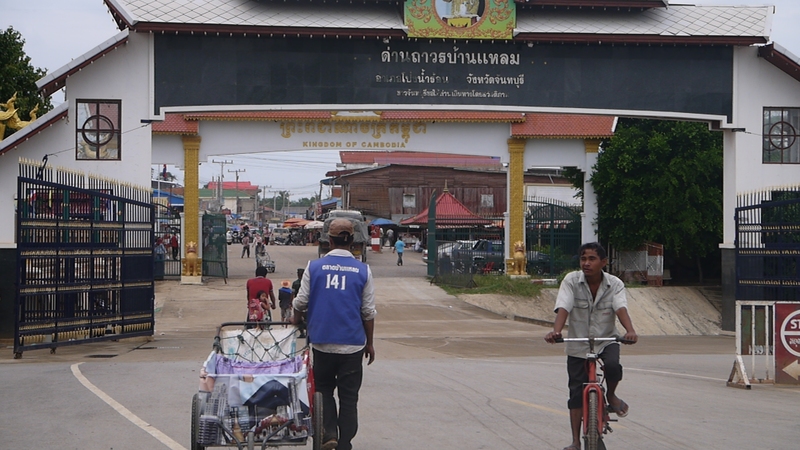 Last Friday we spent the day driving to the Cambodia border and back again! (Hence no Food Friday last week) We were doing a visa run to renew our visas for another two months. It was a long day up early and back after dark (with a lot of waiting in traffic along the way). The up side was that we stopped at a little petrol station/rest stop that was selling fried crickets. 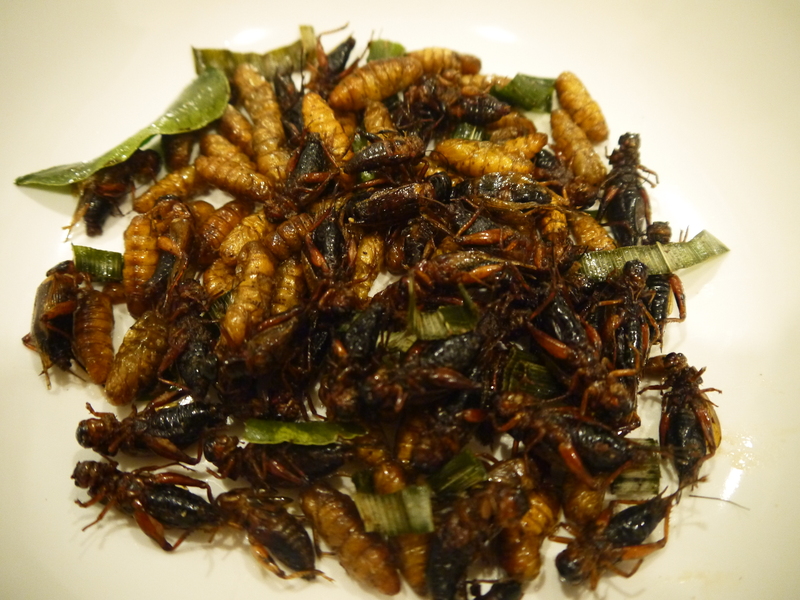 We first tried fried crickets and a range of other cooked insects in 2008 while we were staying in Luang Prabang, Laos and found that even though they don’t look appealing they are a delicious snack. Kind of tasting like peanuts. In a recent Bangkok Post article they described how crickets are a sign of fertile ground, where no pesticides or chemicals have been used. So not only are they a delicious snack but you don’t have to worry about where they’ve been because most likely it is a lovely pesticide-free rice paddy. Cricket season only comes a few times a year, when the rice is being harvested – the villagers come out at night armed with torches to find the chirping insects and children race off to find them for a little extra money. You have to be fast to buy crickets as they sell out quickly, when we stopped off at the rest stop on the way back from the border the large crickets were sold out and they only had a few of the other sort left. 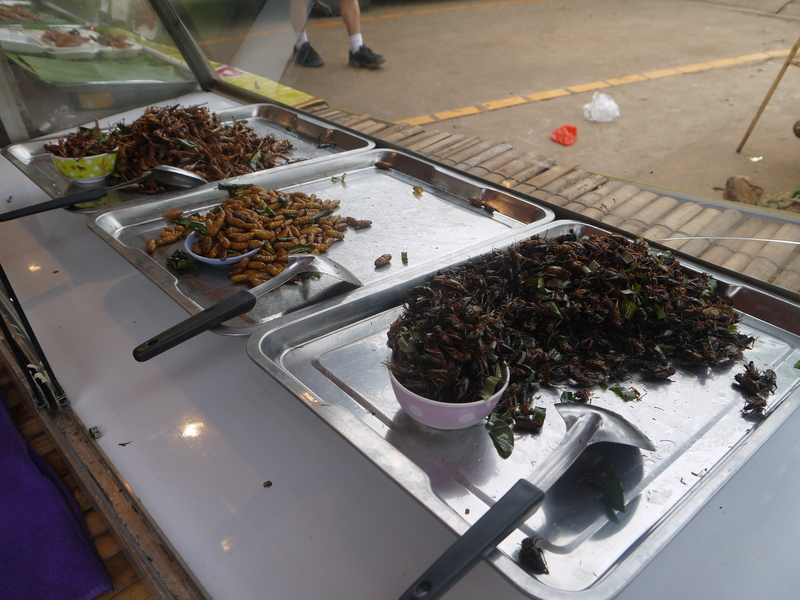 We think crickets are best eaten freshly fried, these weren’t as good as the ones we had in Luang Prabang – probably that’s because we saved them until we got home and they had lost a little of their crunch. 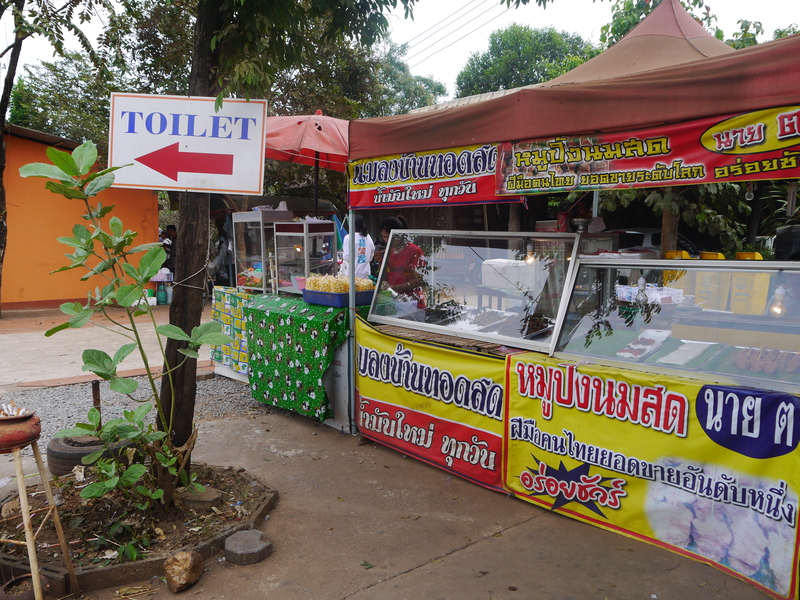 Luckily we have seen a guy with cart selling crickets in Prakanong, hopefully cricket season hasn’t finished yet and we’ll be able to find him again.